Now, I can’t claim to know them all, but there are a suspiciously large % of names on the (very short) list that are affiliated with Ceton (the CableCARD tuner company). I’ve heard a few rumors that they were working on something new, but unfortunately no one would tell me exactly what. So maybe, just maybe this it. Oh, and if you’re interested in learing more about the system. It looks like they’ve been up on Facebook for a lot longer. 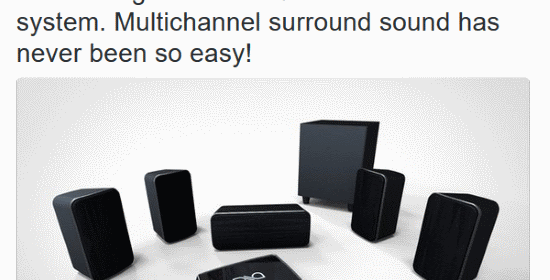 * conveniently ignoring that good speakers need power, so naturally a “wireless” speaker isn’t really wireless.